Launch Date: This Is An On Going Launch Until The Package Sells Out! Click Here To Get Your Affiliate Link Now! Hi there Affiliates and JVs! Liz Tomey here and in 2005 I started rocking the IM world with literally hundreds of different resale rights products. For 10 years I was the biggest provider of digital products with rights and helped 1000's of people make money with digital products. After 2 years of being gone from the scene I'm back and ready to put killer quality products in the hands of YOUR customers so that they can make money by having their own digital products. This launch I'm using a proven process that gets people to buy. We are limiting this package to only 500 people AND bumping the price substantially every 100 sales. You'll be paid 75% instant commissions on the package which will range in price from $27 to $147! There's also an upsell where your customers can have all products installed on their own domain names for just $97 and you'll make 50% instant commissions on that too! This is a simple funnel giving your customers exactly what they need to make money with resale rights products, and helping you to make the most commissions! If you have any comments, questions, want to add a bonus or anything like that I'm just an email away... I look forward to your support on this and helping you in the future with anything you may have! Enter your name and best email to get updates sent to you about this launch... This is an affiliate notification list only. You will ONLY be notified about launches and launch updates. Front End - The front end product for this launch is a package of 5 master resale rights products that are all in the Internet marketing niche. The package is limited to only 500 people and the price starts at $27 and raises every 100 sales where it tops out at the last 100 for $147. You'll be paid 75% instant commissions at all price points. Upsell #1 - The only upsell in this funnel is for an install service where we install all 5 of the master resale rights in the front end package for the customer on their own domain name. You'll be paid a 50% instant commissions, and we do have a follow system in place for people who don't initially buy to help you get more sales! Your people are safe with me! I take good care of my customers and I'll take good care of yours too! We even have a mastermind group on Facebook to help them with anything related to selling online and/or using resale rights products! I reciprocate! 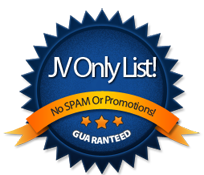 If you have an offer that fits my list then I'll happily promote your offer for you to my list! This is a great opportunity for your people to get their hands on ready to go products that they can use to make money from. These are great little business assets! I'm providing you with some great resources and tools to use to promote this package, and if you need anything I'll customer create it for you! Emails: Use these emails to promote this offer. I have follow ups in place to get your readers/leads buying through the rest of the funnel. All you need to do is promote the front end offer. The creator and owner of this package is Liz Tomey, and if you don’t know her, she’s simply the “go-to-gal” when it comes to making-money with resale rights products. Since 2005 she’s provided top quality products to online marketers all over the world! That’s why when I saw that she had developed and come out with this entire package, I jumped right on it without even reading the sales page. Heck for the small cost, this package would have been worth it anyway! 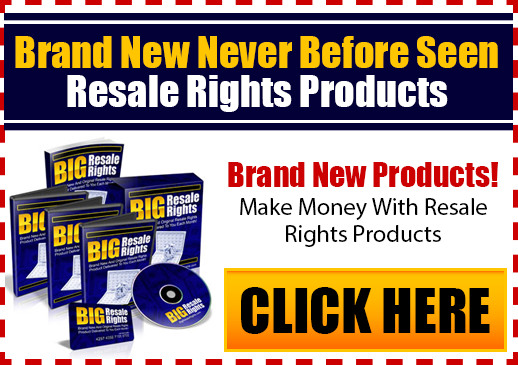 If you want to get your hands on 5 brand new never before seen master resale rights products from the Queen of “Profiting With Resale Rights” then you’ve got to act fast because this package is ONLY being sold to 500 people period! You’ve got to act quick though… The price goes up substantially every 100 sales, so make sure you get it right now at the lowest possible price! 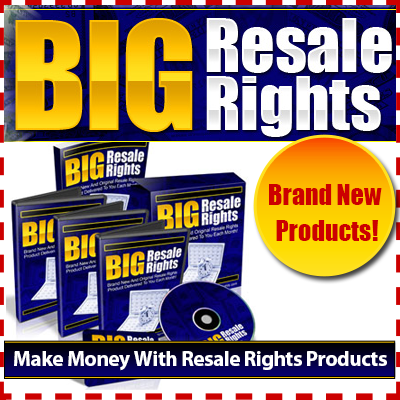 I just got word that a brand new never before seen package of resell rights products has just hit the market! This isn’t like you’re regular crap products that have been floating around for years and everyone and there brother already has them collecting dust on their hard drives. These are brand new, never before seen products, that were especially created for super hot niches. Not only that, but the entire package was created by “Ressale Rights Queen” Liz Tomey! If you don’t know Liz, you’re in for a big surprise because not only does this lady create awesome products that you can sell for incredible profits, but she’ll teach you how to profit with them over and over again. There is no other package out there like this, and no one has ever come close to providing the true value that Liz does! Ready To Go Business Assets – Grab These Now! Everyone is always looking for a shortcut to make-money online and generally I tell them there’s no such thing. However there are a few… VERY few shortcuts out there, and one of those are “ready to go” business assets. Business assets are anything in your business that make you money. These are all things that can make you-money, and every great once in a while you can find these already created for you. You just simply start using them and make-money. This is a package of 5 ready to go resale rights products. You can take these and use them in several different ways, but the best thing to do is set them up, and start promoting them. It’s like having little cash-machines out there all making you-money! This package is limited to ONLY 500 people, so you don’t have to worry about a ton of competition. Now go make some-money with these ready to go business assets! Your Own Product Empire – Selling Out Quick! Want to know one of the best ways to make-money online? I’m sure you’ve heard of this, but are you actually doing it? If you said no, you need to start and I’ve got the perfect solution to allow you to start doing it quickly! A package of 5 ready to go products that you can sell as your own and instantly have your own product empire. Each time you add a product to your product empire it’s like adding an ATM machine to your business. It’s just waiting to spit out money for you. This isn’t like your regular crap products that have been floating around for years and everyone and there brother already has them collecting dust on their hard drives. These are perfect for you to start your own little product empire! Content: You can use these content pieces on your blogs, in emails, or anywhere else you're allowed to post content. Just insert your affiliate link and post! As information marketers we continually keep buying products with resale rights, and wonder why they don’t make us any money. If you know what products to look for then there is no reason why you shouldn’t be making money with resale rights products. They are great for list building purposes, back end sales, product packages, and many more profitable ventures, but there are down sides to resale rights products, and if you don’t know what you are doing, you will lose money! By doing a search on any search engine you’ll find thousands of offers for different resale rights products and/or packages. The only problem is that most of these products have been around forever. You can’t give them away much less make money from them. When buying products with resale rights, there are a few things you need to look for as far as the quality of the products. I’ve created a short check list you should look at each time you go to buy a product with resale rights. 1. When was the product published? If the product is over a year old, I usually wont buy it. Many things change within a year, and I only want to provide up to date information to my customers. So before you buy, ask how old the product is. 2. I do a search for the product on the main search engines to see how much competition there is for the product. If 20,000 other people are selling the same resale rights product as you, then how are you going to be different from them with the same product? There are millions of people online, but you still have to stand out from the crowd. Don’t buy resale rights products that everyone and their brother is trying to sell. 3. Does the product come with a marketing package? When I buy a resale rights product I usually wont buy it unless it comes with graphics, and a ready to go sales letter that I can edit. I do make changes here, and there, but to save me time to get me quickly profiting with a product, I want a sales letter that’s ready to go. If this isn’t stated in the sales copy for the product, ask the owner of the product if a marketing package comes with the product. If not, then I would look else where. 4. Can the product help your customer in some way? We all want to make more money, save time, and solve our problems. Make sure that the resale rights product can help your customers in some way. We all like to make money, but it all starts with making a customer happy. Be sure that you are helping them! 5. The price of the product. It is easy to understand why there are different prices for different brands of a physical product. The price tag can easily determine the quality and contents of the product. Information products are no different! To make money with resale rights products, you have to spend a little money. Don’t buy a product just because it’s cheap. Usually the more expensive resale rights products sell better because there is less competition. Most people wont spend money to make money. If you had to pay $197 for a product that only 400 other people were selling and could make $3000 from that one product, why would you pay $20 for a product that 4,000 people are selling and you may only make your investment back? These are the top five things you need to be watching for when it comes to the quality of a resale rights product. You are sure to make more money off of resale rights products that provide good information, that doesn’t have a lot of competition, and that can help your customer. Use your head and follow this advice and you should do well with profiting with resale rights! Have you tried everything under the sun to make money? Are you just getting into the whole “make money thing”? No matter where you are with trying to make money online, the quickest and easiest way to start profiting is by buying rights to digital products. For those of you who aren’t familiar with the terms “product rights” and “digital products”, let me give you a little crash course here. Digital products are ebooks, software, videos, and the like. These are simply products that can be downloaded after purchase. No waiting for anything to be shipped to you. Make your payment and download it. Very simple, right? Now some products you can actually purchase rights to. This means you buy the product, and you also have the right to sell that product and keep 100% of the profits. Yes seriously… I’m not joking! You can literally find ready to go products, that you can sell, and keep all the money on. At the end of this article I’ll share with you my secret place for getting my hands on these products, but for now, let’s talk about the different ways that you can make money with digital products that you buy the rights to. By having a load of digital products that you have resell rights to, your options are virtually unlimited in the ways you can cash in with them. Here’s 6 ways off that top of my head right now, that I have personally used to profit! Build A Website – Pick a large niche. For instance dog training. Find several resell rights products related to dog training, and you can sell them each from one website. You could become the Amazon.com for digital dog training products. Once you get one up, find another niche and repeat. That’ll give you TWO streams of income. Create A New Product – When you find resell rights products online make sure to categorize them when you download them. Later you can come back to your categories, and find batches of products that you can bundle together and make an entirely different and new product. Build A List Of Buyers – Many times you can give giveaway rights to resell rights products. When you do, give them away to people in exchange for their email address. It’ll create a list of prospects for you that you can market to over and over again! Bonuses For Products – Have existing products you sell online? Why not add some serious value and shoot up your sales conversions by offering resell rights products you have bought as bonuses to your product? I have done this time and time again, and some people sometimes buy my initial product just to get the bonuses. This is VERY powerful. Bonuses For Affiliate Sales – Want to make money promoting other people’s product? It’s a great plan, but what about all the other people doing the same thing? You can crush your competition by offering bonuses to those who purchase products through your link. This is a sure fire way to boost your affiliate commissions. I hope these tactics have sparked some ideas in your head. Having the rights to sell digital products truly is the quickest and easiest way to start making money online right now! To get started, find some digital products that you can buy the rights to. Come back to this article, and pick one tactic you want to use, and get to work. Soon you’ll be making your first money online! Product creation is usually one of the first concerns of an internet marketer. Conceptualizing a profitable idea and formulating a marketing plan to sell it is a relatively exhausting task. Not everyone is gifted with the creative juices to come up with a cutting edge concept. Many internet marketers actually sell their created products either because they have squeezed them dry of all possible earning potentials, or they feel that they’ll earn more by selling the master rights to the product. This has paved the way for resale rights marketing, which is an ingenious method of making profit out of others’ works. Think of it first in the point of view of the creator. He’d come up with an e-book that he feels is worth $60. But his sales would depend on the success of his marketing campaign. What if he’d sell the master rights for the e-book instead to a hundred of his fellow marketers for $25 each? He’ll earn an instant $2500, which is a surer profit than the uncertainties involved if he decides to market his e-book himself. Now, let’s look at it in the point of view of the resale rights marketer. He’d buy the master rights for $25. Granted that he’d share the same with 99 other people, the internet has a population of 50 million surfers at any given time. Surely the ratio does not convert to saturation of any target market. Additionally, the resale rights marketer can repackage the product in so many ways that would seem novel and distinct from how it was marketed originally, or how the other master rights holders would market it. It is important to note that there are two kinds of resale rights. First, we have the master resale rights that grant you, basically, every right the owner has, or had. Second, we have the limited resale rights, which carry with it certain conditions depending on the license. Here are five options that a resale rights marketer can use to maximize the potentials of any products he plans to resell. Re-brand, repackage, resell. If the resale rights marketer holds the master rights to the product, he could name himself as the author, change a few things here and there, and sell the product as something new. Buy and sell. The resale rights marketer can also partake of the most fundamental principle of profit: buy low, sell high. In our illustration, the resale rights marketer bought the master rights to the product for $25. He could sell the same master rights for a higher amount. Or better yet, he could sell the product itself to many interested buyers at a price that he would deem sustainable and reasonable. Imagine if he succeeds on selling the product to 90 people for $10 each. That’s $900 from a $25 investment! Divide and distribute. The resale rights marketer can also divide the product into several components, and sell or use them individually. An e-book, for example, can be broken down to a series of articles which can be used as auto-responders, e-zine content, or chapters for other e-books. Use it as a freebie. If the resale rights marketer holds the master rights to the product or is otherwise allowed by the license, he could bundle it with another one to increase the latter’s value and justify a higher selling price. Or he could use the product as a freebie in a viral marketing campaign he is employing. Have it auctioned. If the resale rights marketer holds the master rights to the product or is otherwise allowed by the license, he could have the product auctioned to the highest bidder. This would allow him to earn more than what he originally paid for! There are many other ways by which the resale rights marketer can earn through this trade. The possibilities are only limited by imagination! This package contains 5 brand new, never before seen products, that are sure to bring in the profits! Not only that, but Liz is also including some amazing bonuses that are going to show you some of her most brilliant plans for making money with resell rights products. Images: You can use these images on your blogs, in emails, download/thank you pages, or anywhere else you're allowed to post content. Just insert your affiliate link and post! Videos: You can copy and paste the code below on any sites you own or are allowed to place video and use any of these videos as content that leads your readers to the sales page. Okay... I think that's everything! If there is anything I can do to help you please do let me know. I'll be more than happy to help you out! * Reciprocal mailings will only be given on quality products! We value our customers, so please understand if we don't feel your product makes our quality standards we will not promote it. But that doesn't mean we will never promote for you. If your next product meets our standards we'll promote it. I don't think this is going to be an issue (never has been) because I work with a bunch of awesome people. As an Affiliate you agree to the following: The new FTC Guidelines for affiliate marketing came into effect on December 1st 2009. As an affiliate or JV partner for Liz Tomey, you've read and fully agree to the terms listed on the Official FTC Website (http://www.ftc.gov/bcp/guides/guides.shtm) to ensure that you're promotions are compliant with the new guidelines.